Density does not equate to good urbanism. Density is a necessary ingredient, but raw density of jobs, housing, or retail does not create a great street much less a great place. 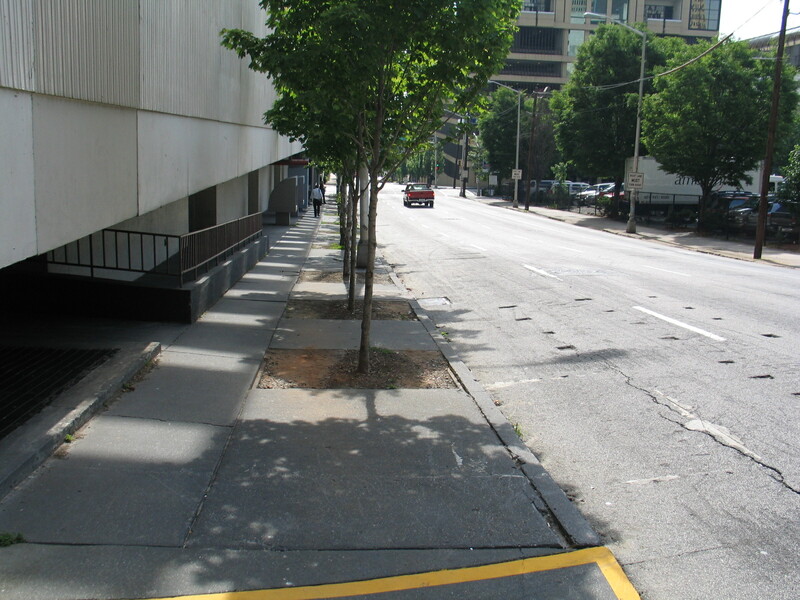 Downtown Atlanta is a classic example where tall towers empty out at 5 pm to create an employment ghetto in the evening, devoid of any street life (unlike neighboring Midtown) and hostile to pedestrian activity. How hostile? When a friend and I attended a conference there, the topic of which was ironically “walkable urbanism,” he was struck by a car crossing the street to the conference hotel. Thankfully, he rolled over the hood and was uninjured, but the incident is probably replicated too often to not be alarmed. The same is true of the SouthPark area in Charlotte. Originally a suburban mall on the edge of the city, it has grown to become one of the largest shopping and employment centers in the state. And lately, the level of housing within “walking distance” is quite staggering. (My reason for putting the term “walking distance” in quotes will become clear in a moment.) Hundreds of apartments are rising up or are in the planning stages. New speculative office buildings are on the rise once again after a long hiatus since the recession and it seems the retailers, particularly those at the high end, are falling over themselves to find a place nearby. Forty years ago, the area was a classic suburban mall district with buildings hardly eclipsing two stories. Today, few new structures are less than five stories with a number of eight to twelve story buildings now rising above the mature willow oak canopy. And, it seems that mixed-use buildings with housing or offices over ground-level retail are becoming more common. Yet, with each new project, all often higher in design quality than the previous, why does each rezoning discussion seem to devolve into a simplistic argument over the management of cars, both parked and moving (Charlotte Observer & Charlotte Business Journal)? And why does being a pedestrian along the main streets of Fairview Road and Sharon Road feel as hostile as in downtown Atlanta? Perhaps it’s because there is a missing ingredient in the stone soup of great urbanism. The presence of mixed-use buildings and density do not equate to a vibrant, walkable environment that encourages people to shed their cars. As an individual project, they certainly deserve points for advancing the cause. But the recently completed Villages at SouthPark, Piedmont Row, and even the older Phillips Place seem more like cul-de-sacs than they feel like main streets. They are visually and often physically disconnected from the larger street network, create enclaves of dense development, and fail to produce a great street for the community. In short, each project seems to fail to contribute to the larger public realm. Each project is constructed in isolation of each other. And, worst of all, the level of auto dependency is reinforced with the construction of each new parking deck providing free parking at a rate far exceeding what is necessary if planned in a more comprehensive manner. This is further aggravated by the fact that most (but not all) smaller infill projects fail to add any value to the street edge. The blank walls of each CVS, Walgreens, and office building conspire with their larger neighbors to destroy all pedestrian activity. Many folks will throw up their hands and say that the traffic volumes are too high along Fairview Road and Sharon Road to make a great street. That is because they are still thinking of this area as an auto-dependent suburban mall and not as a downtown. 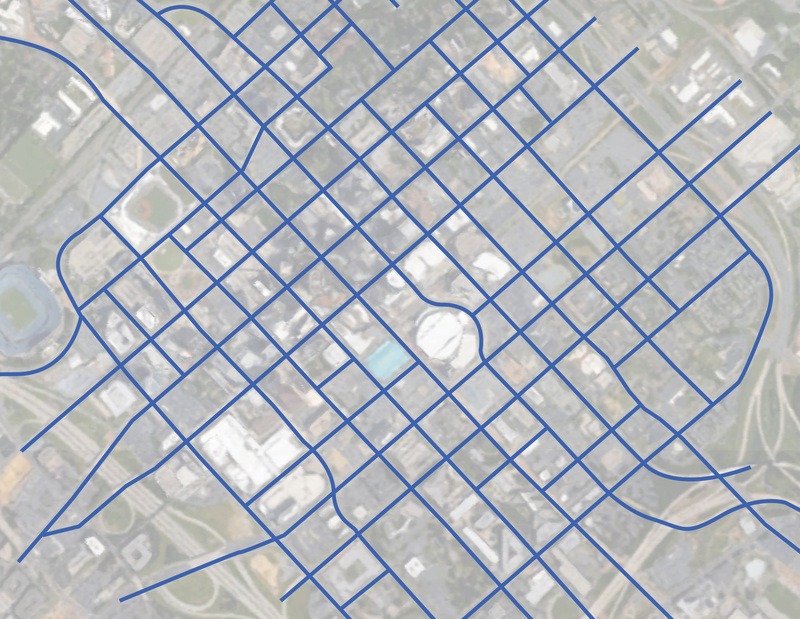 Cities have a dense street network and complex variety of transportation modes that provide choices on how you both arrive and move throughout their area. In the suburbs, everything is predicated on one mode of arrival – the car – and the shortest distance to the front door. In cities, the value lies in the aggregation of activities, parking is considered a shared utility, public space is given center stage, and each addition contributes to increasing value. In the suburbs, the value rests solely in the final destination. Everything else is quantified as a nuisance – pavement, traffic, loss of trees, etc. Update the SouthPark area plan. Last adopted in 2000, is has nuggets of great wisdom, but they’re buried amongst the unnecessary data. Ground floor design and mobility at the human scale are the most important elements. And most of all, stop thinking about this area as a suburban mall and plan for it to be a city. See the SouthPark Small Area Plan, adopted in 2000. Improve the grid, project by project, block by block. There have been some glimmers of hope, but each project still seems much too introverted and lacks a true urban network. Implement a Code that ensures a more predictable urban environment. Relying on a 15 year old plan and a cumbersome rezoning process will never produce an optimized outcome, nor will rezoning it ad hoc. Convert Fairview Road and Sharon Road to urban streets. Urban Streets carry high volumes but also balance their use by cars, pedestrians, cyclists, and transit. These streets are important to the overall city network but for one mile can they be so much more? Begin planning urban transit service. Begin building frequent, predictable service with rubber-tired trolleys to circulate around the area and plan for premium, fixed guideway services in the future. Manage the District, not individual projects. Like Center City, South End, and other mixed-use districts around the country, the collective assets and resources, both current and planned, need to be collectively managed to maximize their efficiency and reduce the impacts of incrementalism. Quit arguing about traffic. Congestion will never be solved. At this stage, urban design, walkability, and planning for premium transit are much more critical to the conversation. Michigan Avenue in downtown Chicago is considered one of the greatest streets in the country and it carries about the same traffic volume as Fairview Road. What if blocks were created instead of parking fields? What if the streetscape was generous enough to invite pedestrian activity (i.e., walking and outdoor seating) like its bigger cousin in downtown Charlotte – Tryon Street? What if transit was incorporated through the corridor to make it truly accessible from corner to corner and then connected it to the greater region? 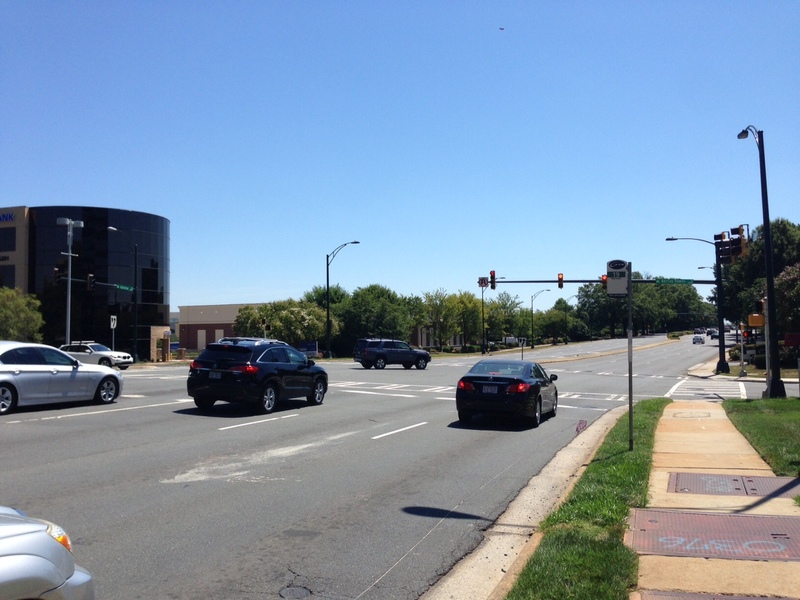 In 50 years, would Fairview Road in Charlotte be counted among the greatest streets of the country? Or, will it be measured only by the futile exercise of counting cars? Previous PostThe Golden Triangle of Great UrbanismNext PostIs the bell tolling for the parked car?